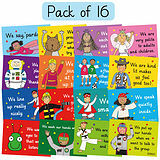 This pack of 16 Classroom Manners Posters is printed on thick A4 card. 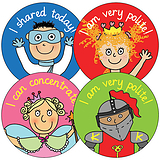 The posters have messages to encourage pupils to try their best with manners, listening, respecting each other and general good behaviour. 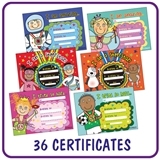 The variety of the poster messages makes them suitable for displaying around the school and classroom. The Pedagogs range is popular with both teachers and pupils alike.